This story has been updated as Intel officially announce the Core i7 8086K CPU. Intel has just officially announced the Core i7 8086K CPU at its Computex press conference, going on sale on June 8 to celebrate the release of the original 8086 processor. That first x86 chip had a clockspeed of just 5MHz, so the 8086K, with its Max Turbo speed of 5GHz is just a little bit quicker. It’s going to run at 4GHz straight out of the box too, but you’ll probably be able to hit 5GHz all-core without too much trouble on this binned CPU. The Core i7 8700K processors are regularly capable of such a feat – our sample hits 5.2GHz all-core – and these chips should all but guarantee it. How does Intel’s i7 8700K stack up against the competition? Here are the best CPUs for gaming. 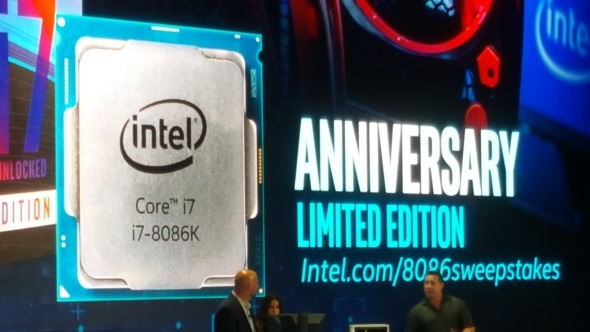 Intel is also committed to getting as many people in on the celebration too, and it is giving away 8,086 of the new Core i7 Anniversary CPU on its site. Check out www.intel.com/sweepstakes to check it out. Previously British retailer Overclockers UK had loosely briefed its forum goers on the upcoming Intel i7 8086K CPU. In a post by Overclockers staff, the retailer outlined that it will be selling the anniversary hexacore chip for sub-£400, and that the company will be offered its own binning and delidding service for the chips once it goes up for pre-order on June 8. The post also outlines that any retailer breaking NDA will have its stock allocation restricted. Strangely enough, this forum post has since been edited, and further staff posts on the matter removed. 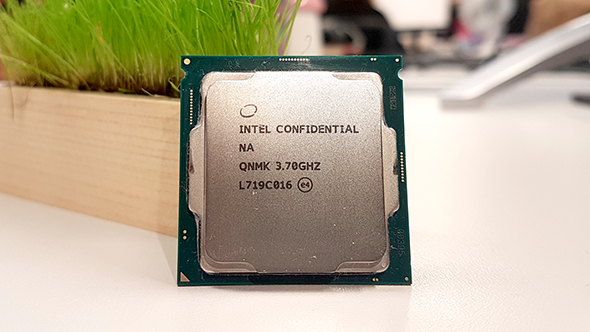 The i7 8086K – yep, still an i7 and not an i9 – is essentially a bin-sorted hexacore Intel i7 8700K chip with all the usual goodies, such as HyperThreading enabled, 12MB of L3 Cache, and will come fitted with Intel’s UHD Graphics 630. While theIntel i7 8700Khas a TDP of 95W, the i7 8086K could potentially feature a slight bump – potentially 105W by our estimates. Thanks to Overclockers, we have a rough idea on UK pricing for the anniversary chip at sub-£400. Also, the i7 8086K will likely cost under $480 – thanks to a spot from VideoCardz – which is roughly over $100 more than the i7 8700K. That would still be much cheaper than a third-party binned chip of comparative speed. Overclockers list its 5.0GHz i7 8700K at £549 (~$728), meaning the i7 8086K has the potential to be a bit of a bargain if you are in the market for tried and tested top-end silicon. This isn’t the first time we’ve heard about Intel’s Coffee Lake i7 8086K, either. WikiChip’s David Schor has been posting the idea to social media since January, which may also confirm the existence of precogs, and the flames were fueled further by supposed screenshots of the Intel anniversary chip from within CPU-Z. Screenshots of this type are easily faked, however, as Dave proved with his AMD Ryzen 7 8086 Anniversary Edition world exclusive. Nearly had us fooled…. 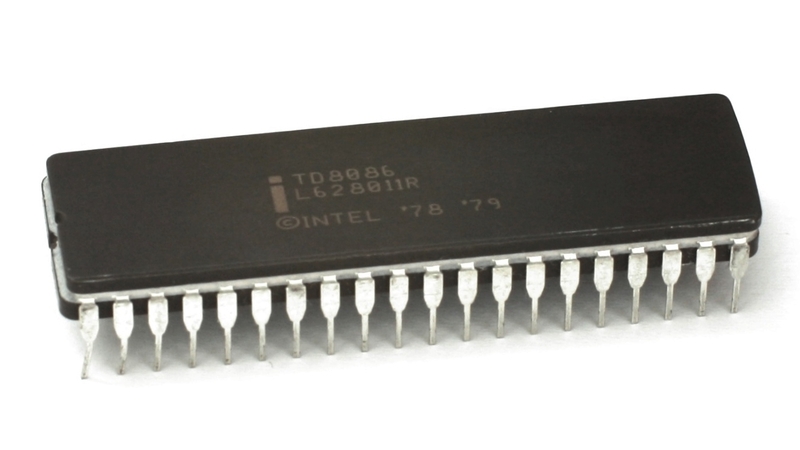 This wildly successful architecture, introduced way back in 1978, kicked off the x86 architecture, which is still used in almost all PCs today, and ushered in a new era for modern computing with Intel firmly in the driving seat.